Well, it's here, folks: what I call the World Series of the Church. A week of powerful worship services and experiences. We'll journey with Jesus through the city of Jerusalem, first at his celebrated entry, ending with his triumphant resurrection. Along the way we'll share a holy meal, pray at a prayer garden, witness a public execution, hear the shouts change from, "Hosanna to the King!" to "My God, why have you forsaken me?" These days are packed with all the emotions. Our son James likes to say, "Get out of your feels!" when someone is upset. That's next to impossible during Holy Week. I thought I would share with a Bible study I wrote several years ago which focuses in on certain events of Holy Week. I've organized it to be a daily devotion for you to fully jump in to these very familiar Bible stories. Why is it important that Jesus rides a colt that was never ridden? (See Numbers 19:2, Deuteronomy 21:3, 1 Samuel 6:7). The word “Hosanna” means, “Save us!” Why do the crowds shout this? What are they seeking from Jesus? If you were there, what would you shout at Jesus? Remember this for later: these same crowds will shout at Jesus as he dies on the cross in a few days. How can the same people become hostile toward the one they ask to save them? The fig tree is a sort of “Oreo”—a trick Mark often uses to sandwich one story around another (the Temple cleansing would be the white stuff). What does the fig tree story have to do with the Temple? What lesson is there for us? Hint: what is the purpose of a fig tree? The money changers needed to be in the Temple (why?). So why does Jesus drive them out? Check out Jeremiah 7:1-11. In what ways do we make the church, or ourselves, unclean or unworthy of God’s presence? What do you notice—immediately in verse 1—that is different about John’s “Last Supper” account versus the others? Have you ever experienced footwashing? What does it mean to offer and receive this practice? What message does Jesus offer the disciples, and us? Who is the disciple “whom Jesus loved”? (verse 23). Why does he get the special place at the table? Why does Jesus command the disciples to love each other? Isn’t that obvious? These four chapters contain prayers of Jesus for the disciples and the infant church. The setting follows John’s Last Supper, where Jesus washed the feet of the disciples. Chapters 18 and 19 tell the stories of Jesus’ arrest and crucifixion. Keep this context in mind as you consider the heart of Jesus. What promises does he confer to the disciples—and to us? Why are many of his words in Chapter 14 read at funerals? You’ve already studied Jesus’ arrest and crucifixion—how do these words, prayed immediately before those events, give them new meaning? And what meaning do they have for us today? Survey the four stories and find exactly where the phrase “Garden of Gethsemane” is used. Jesus refers to the Father as “Abba,” an Aramaic term similar to “Daddy.” How does the use of this word describe Jesus’ relationship to God? Why do the disciples struggle with sleep? What does Jesus mean when he says, “Keep awake.”? When have you fallen asleep in your discipleship? What do you know about Judas? Who was he? What motivated him? What happened to him (Matthew 27:3-10; Acts 1:16-20)? Someone (unnamed in Mark but named in other accounts) whacks another person with a sword. Compare the different accounts to discover who the person is—and the different ways Jesus responds. What does each response say about that gospel’s understanding of Jesus? Who is the naked guy in Mark 14:51? Eyewitness testimony is notoriously unreliable, and it was during Jesus’ trial. Does it really matter? What do you make of Jesus’ silence before his accusers (Mark 14:61). Why doesn’t he defend himself? Why does the high priest tear his clothes? What blasphemy has Jesus done? Explore the different accounts to get an idea of their differences. Where are the other disciples? Is it unfair to single out Peter’s denial? How do we deny Christ today? What happens in the conversation between Jesus and Peter in John 21:15-19? Would Jesus have had a similar conversation with Judas had he lived? What would Jesus say to us when we betray him? What do you know about Pontius Pilate besides the fact that his name is mentioned in the Apostles Creed? Do a quick Google search. Why is he named in the AC, anyway? Compare the different depictions of Pilate in the four gospels. What picture do you get of him? The phrase translated “handed him over” (e.g. Mark 15:1) literally means “betrayed” in Greek. Every time you see the phrase change it in your mind and consider how it impacts the Passion story. Why does Luke include Herod (different from the Herod of Matthew 2)? How does his collusion with Pilate impact the story? John mentions again that the time for Passover has not yet come (remember 13:1). How does Passover factor into the scene? See 19:14. Compare how the gospel writers present Jesus in his conversation/trial with Pilate—John versus the others. What is the difference? Hint: Isaiah 53:7. Why is Barabbas picked to be the one released by Pilate? Who was this guy—and why was he paired with Jesus? Make note of the crowds, shouting at Pilate to crucify Jesus. As an official appointed by Rome, what is Pilate’s duty? In other words, what motivates his actions? Focus on Matthew 27:24-27 and 28:11-15; also see the Gospel of John’s continual use of the term “the Jews.” What have been the historical implications of these texts? Hint: Google “deicide.” How should we read these texts today? The Romans crucified the worst criminals—usually insurrectionists or runaway slaves. Why is Jesus sentenced to such a death? Compare the reactions of the other two crucified men (and Jesus’ relevant words) in Mark and Matthew to Luke. What do we learn about Luke’s understanding of Jesus? Darkness covers the whole land/entire world in Mark and Matthew—and Matthew has an earthquake and the dead rising. What do these unique details tell us about Jesus’ death? The centurion’s affirmation, “Truly this man was the Son of God” is inspired by Jesus’ death (Mark 15:39). What do you think Mark meant by “in this way”? Do a quick Google search: how does one die from crucifixion? Why are folk so surprised Jesus died after only a few hours (e.g. Mark 15:44)? Who was Joseph of Arimathea? What do we learn about him from the different accounts? Only in Luke does Jesus lament over Jerusalem (23:27-31). Why is this significant and what does it teach us about the character of Jesus? What is immediately different about John’s story of the crucifixion (19:17)? 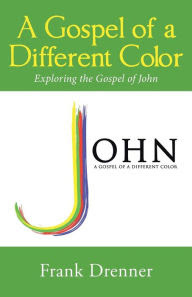 What do we learn about John’s understanding of Jesus? All the accounts mention the sign about Jesus’ head, but John gives more detail (19:19-22). What’s the message? All of the accounts say something about wine/myrrh offered to Jesus. Why—what is its purpose? And why does John mention hyssop? Why do the soldiers break the legs of the other crucified men? Jesus is already dead, so his legs are not broken. Why is that significant? What’s the deal with blood and water (19:34)? Which of them is most impactful for you—and why?